It was alarming to watch the news during the week and hear of native magpies being poisoned as a way to deal with the swooping and noisy birds annoying residence in Cleveland. 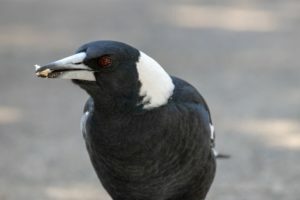 It was reported that over 21 magpies were found dead by poisoned meat. Magpies musicares aren’t uncommon. Back in December 2008, 20 magpies were reported dead by deliberately being poisoned in Sydney suburbs. The maximum penalty for deliberately harming native wildlife is a $22,000 fine or a two year term of imprisonment. Clearly the chance of being caught versus the annoyance of these birds is a risk some people are prepared to take. Most of all – these birds do stop swooping once mating season is over, so give them some time. If it is too dangerous for your family contact DERM (Department of Environment Resource Management) on 1300 130 372 for further direction and assistance or the RSPCA on 02 6282 8300.